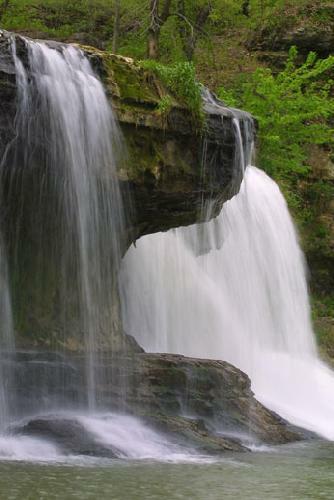 I have some waterfall photos of waterfalls in Indiana that were sent to me from Mark McCoy (INphotogr4@aol.com www.Indianatraveler.com) You may click on the thumbnails to see a larger version of the waterfalls. 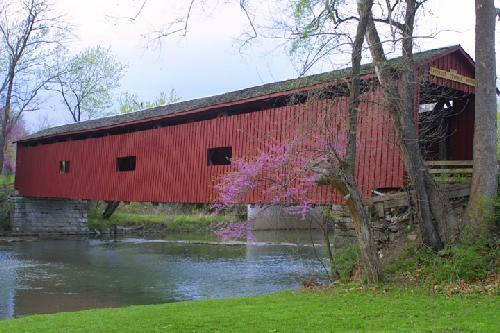 In the same general area as the waterfalls, you are very near Parke County and Putnam County, where there are many covered bridges. I believe Parke County has something like 42 of them. 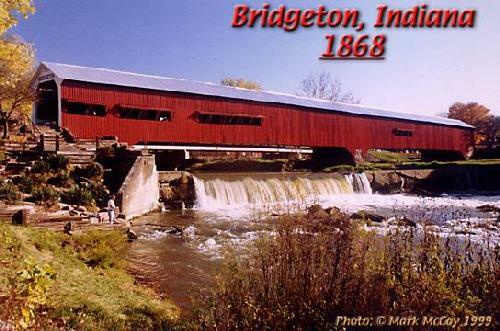 The coolest being the bridge at Bridgeton, Indiana. 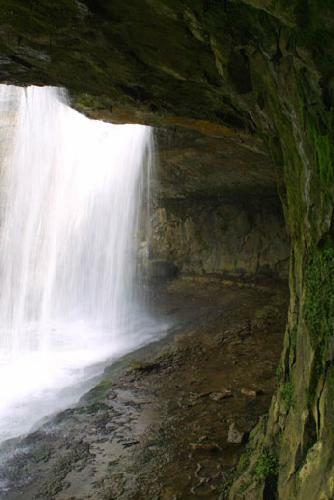 It is the most picturesque and most photographed and painted brdiges in the state as it has a waterfall directly beneath it. Not very high, but fairly wide. A definate "Must See." I think there is a photo of it on the indianatraveler web site, but in case there isn't...here it is. 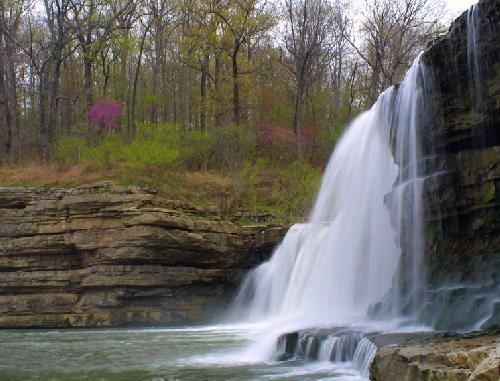 "This was shot last Saturday at Cataract Falls in Indiana. This is the Lower Falls"
The first two photos are of Upper Cataract Falls, the first being a side view of the falls and the second a view from behind the falls. The other is the Cataract Covered Bridge that you see as you approach the falls.